Daily ponderings of a knitting and spinning fanatic. 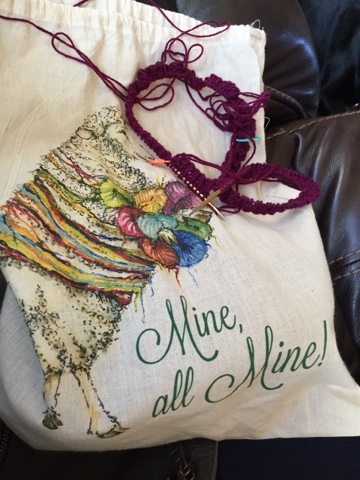 I will settle for starting with Gable by Hannah Fettig in Plucky Knitter's Oxford colorway - Broken Crayon, a Shindig purchase:-) Don't you love the project bag! My other project is Storm Door by Amy Miller in, swoon, Plucky Cashmere - colorway Rapunzel! I will keep you updated and we will see once again, will she or won't she?! ?